Dear FTII/SRFTI aspirants, This page was created to help students via providing free sample papers, who appeared in FTII/ SRFTII entrance Exam Friends, JET-2019.Pl read below information carefully and if you have any question......pl feel free to write at the below email add. 1467 students appeared only for the acting course. 1308 students appeared only for direction course. 839 students appeared only for cinematography course. Assuming that there will be maximum students from general category, say 1000 out of 1467 and 1:5is call letter ratio of the Orientation Program for FTII, 25 students should be expect the call letter from 1000 students. Hence the ratio is approximately 1: 40 for general category. These statistics are not to scare you but make you aware about the Reality! 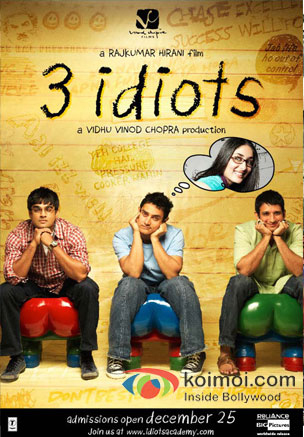 FTII -JET evaluates a student at two fronts; first, the level of information and second, the analytical power. c) 40 % are MCQs related to cinema and art (painting, dance, music, theatre, photography etc). Mr Naresh Sharma (Director CRAFT) has written a book which covers the section ‘c’ as mentioned above. 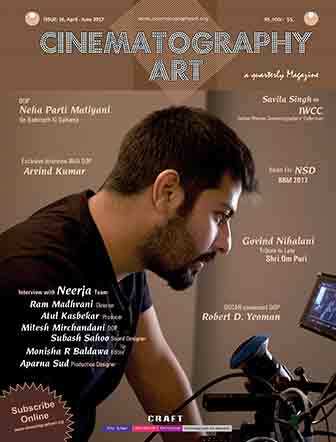 This book precisely caters to MCQ genre related to cinema and art section. Although not exhaustive but scholastically propitious for framing patterns, this book is aimed at MCQ section. 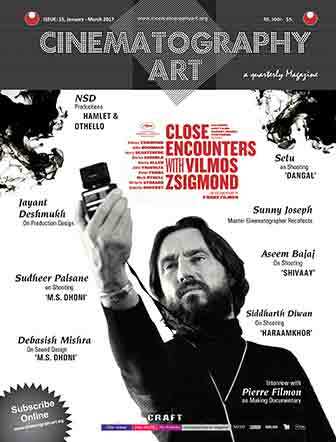 Not only students are expected to be well versed with Indian and International cinema but also of works by FTII alumni. Along with few questions, a list of important FTII alumni is provided. Fifty per cent of the marks are devoted to ‘domain-specific questions’ which are descriptive in nature to evaluate the area of interest and students’ investigative adroitness.
? Your understanding related to various elements of acting; character, emotions, dialogue delivery or anything related to performing art. 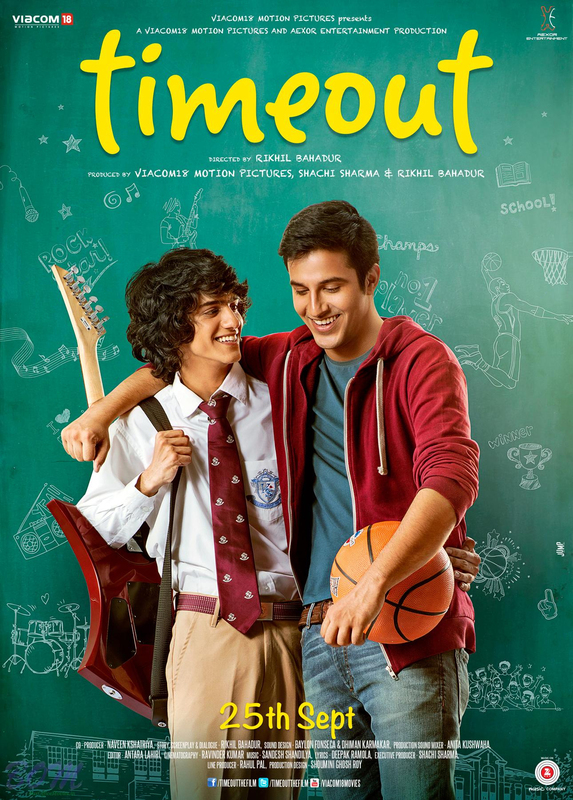 In the past, they have asked students to analyse the performance of various actors. Since it is descriptive in nature it is important that your thoughts should to be focused and fine-tuned. You cannot beat around the bush. Nobody can say with certainty what kind of topic will be given but yes you can jot down few important topics related to acting and find the points, for or against, after analyzing the previous year's examination pattern. Kindly note that the seemingly simple questions can also become complicated questions depending on the examiner, who will be setting this paper. Hence one needs to be thoroughly prepared for the tough situation. Please remember anything can be asked to evaluate students’ talent in terms of thinking or argumentative power. Though one can always prepare for GK and Mental Ability section without the help of any mentor Domain specific descriptive question requires face-to-face interaction/ training. Hence we are organizing 20 days of “Coaching Program” starting from 23rd January 2019. Those who are unable to join the face-to-face program can attend it online. What will be taught in our 20-days coaching classes in Delhi starting from 27th jan 2019?
. Naresh Sharma, who has written a book on the same topic. 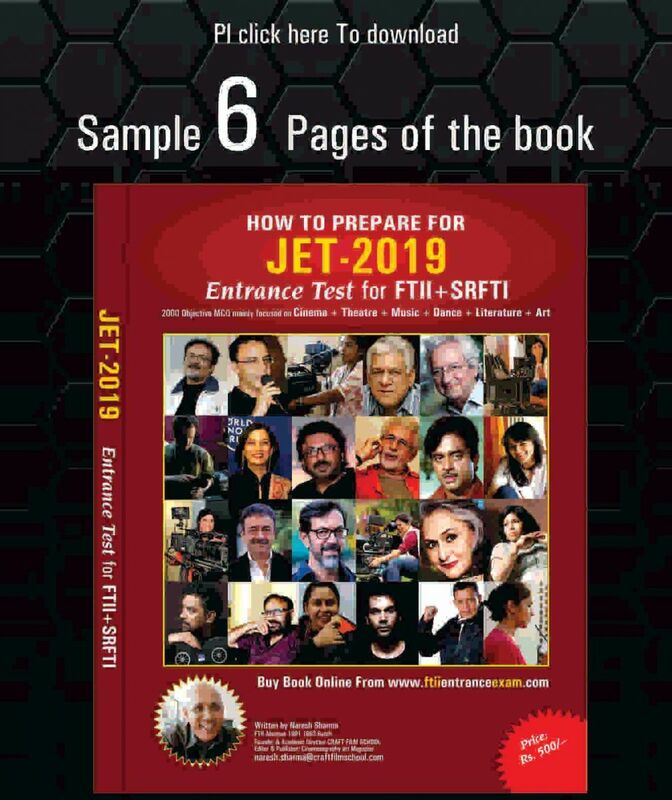 Please note that the book: ‘How to Prepare for FTII-SRFTI-JET 2019’, will give you an idea about various possible questions that can be framed, but there are many things which could not be covered in the book and will be taught only in the classroom. 2. One hr class on mental ability and logical reasoning. 3. 2-hrs Domain Specific Class: Our NSD graduated mentor will be teaching you various aspects related to acting in a 2 hrs class each day for next 20 days, total 100 aspirants (50inmorning and 50 in afternoon batch). 4. Please note that there will not be any class related to GENERAL KNOWLEDGE as it is a vast topic with no end. This 15 marks section is what you need to prepare yourself. There would be an evening batch. if we get more students then there can be Morning batch also. Students who cannot join the classroom Program can join Online Program where they can watch the classroom videos on YouTube. Pl note that the Class Room will give you the opportunity to interact with GK-ART SECTION, MENTAL ABILITY " The domain Expert - sound Recording Faculty "to ask your query if you have any Doubts. While in "online video "only you would be able to watch the video of the classroom, which will be loaded on tube For Private viewing for those who have enrolled in this Prog.Pl note there will be no interaction of online people with the teacher at all. 2. Also, you would be able to discuss things with your classmate, which will be missing in online video tutorials. pl also find the downloadable link of 6-pages sample of the book at below link.